... your first instinct may be to answer, "Of course " But what if you were asked that same question in the midst of terrible loss or great disappointment? What would your answer be if God seemed distant--even absent--in your time of greatest need? In Do You Trust Me?, Jessica Johnson gives you a vivid and honest look at her very personal struggles with faith, prayer, and trust in the midst of the most painful event of her life: the loss of her infant son. In 2006, Jessica and her husband were living the life they had always planned. But several months after the birth of her third child, Jessica was faced with the question, "Do you trust me?" in a way that she had never dreamed of before. Out of the depths of despair comes a message of hope and faith so powerful, it will encourage anyone who hears it. Do You Trust Me? is not just for those struggling with the loss of a child, but anyone who has ever wondered, "Does God even listen when I pray? Does he truly care about his children?" 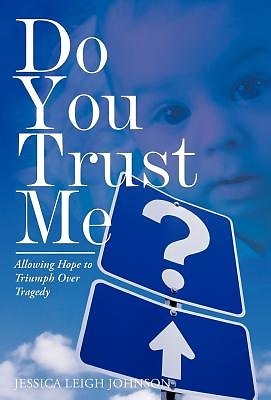 Hopefully after reading Do You Trust Me?, you will discover that the answer to these questions is a resounding "Yes "